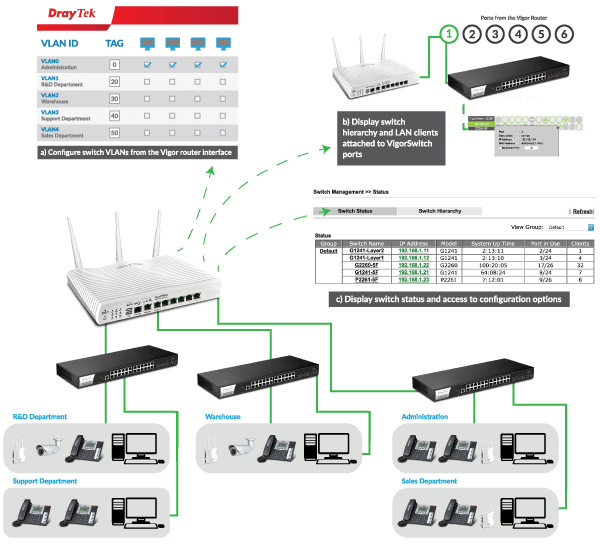 The VigorSwitch G1241 is a 24-port Gigabit Ethernet Web Smart switch with high-performance capability and IPv6 management. 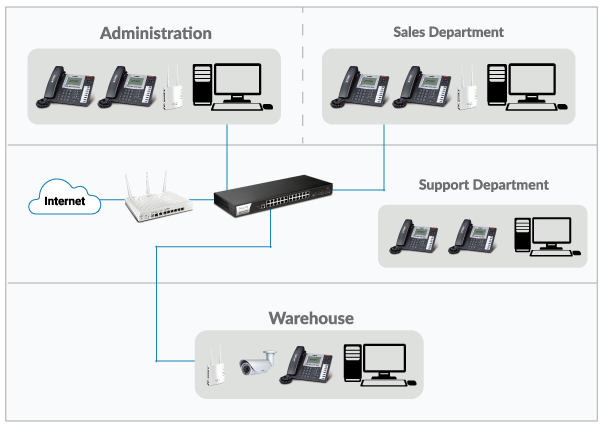 It is equipped with extensive facilities for maximizing your LAN performance and also enhancing security such as VLAN groups (port or tag based), QoS prioritization and bandwidth/traffic control. The VigorSwitch G1241 is designed with CLI interface for flexibility. It is compliant with IEEE 802.1d Spanning Tree and it supports Loop detection for maintenance. In compliance with IEEE802.3az EEE for low power consumption, you can set up a green Ethernet networking environment. 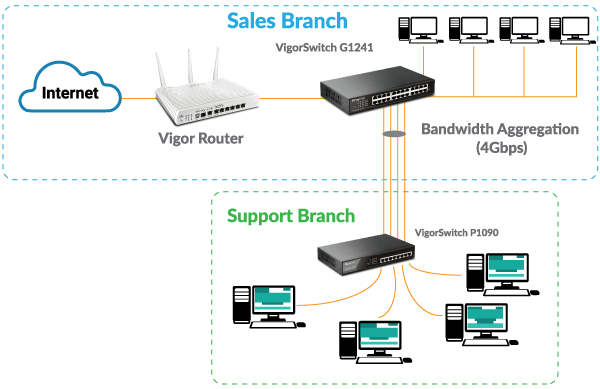 Through VigorSwitch G1241, your business network will be able to obtain high performance and advanced networking quality to deliver all networking communications and data over a single network. 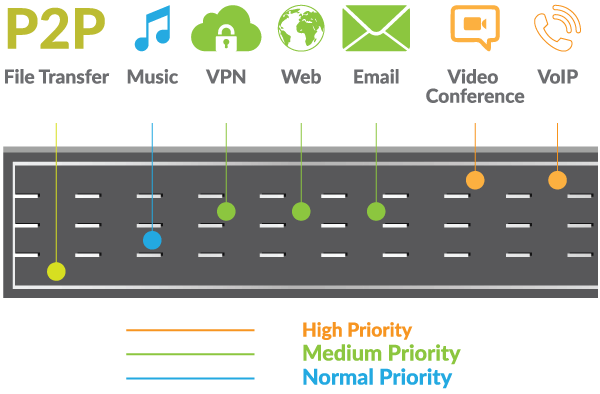 With an intuitive and web-based user interface, your network administrator can simplify deployment, and apply Port Security and Quality of Service (QoS) traffic prioritization to your business network. DiffServ and/or DSCP based. The QoS operates at full wire speed. 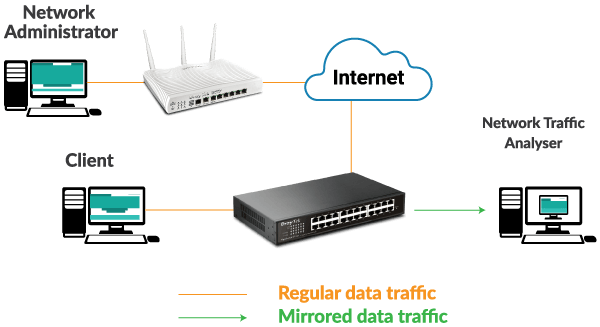 Port Mirroring mechanism helps track network errors or abnormal packet transmission without interrupting the flow of data, allowing ingress traffic (RX mode) to be monitored by a single port that is defined as mirror capture port. Up to N-1 (N is Switch’s Ports) can be mirrored to single destination port. A single session is supported. 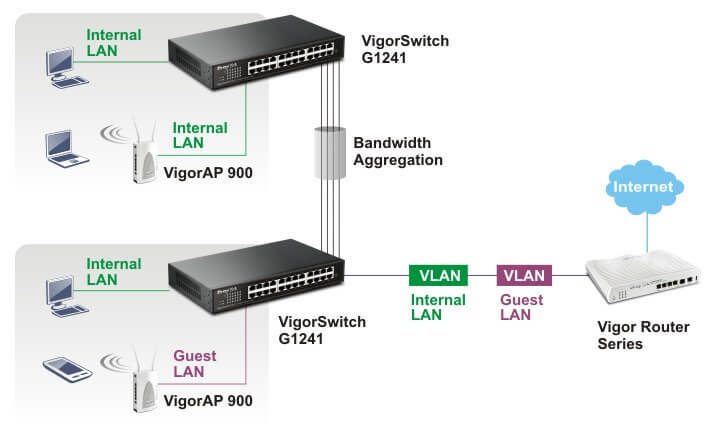 The Gigabit ports can be combined together to create a multi-link load-sharing trunk. Up to 8 Gigabit ports can be set up per group. 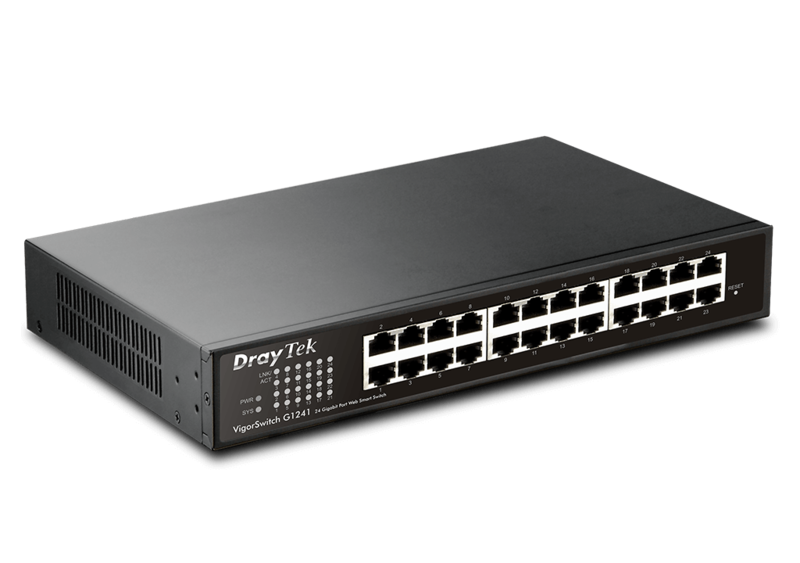 The switch supports up to 8 trunking groups. Port trunks are useful for switch-to-switch cascading, providing very high full-duplex speeds.